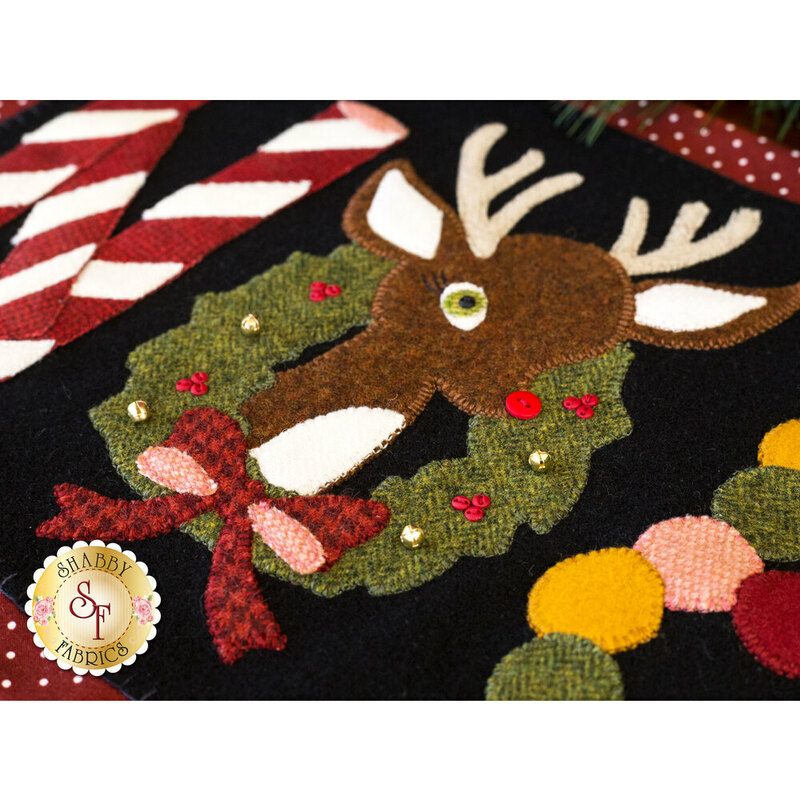 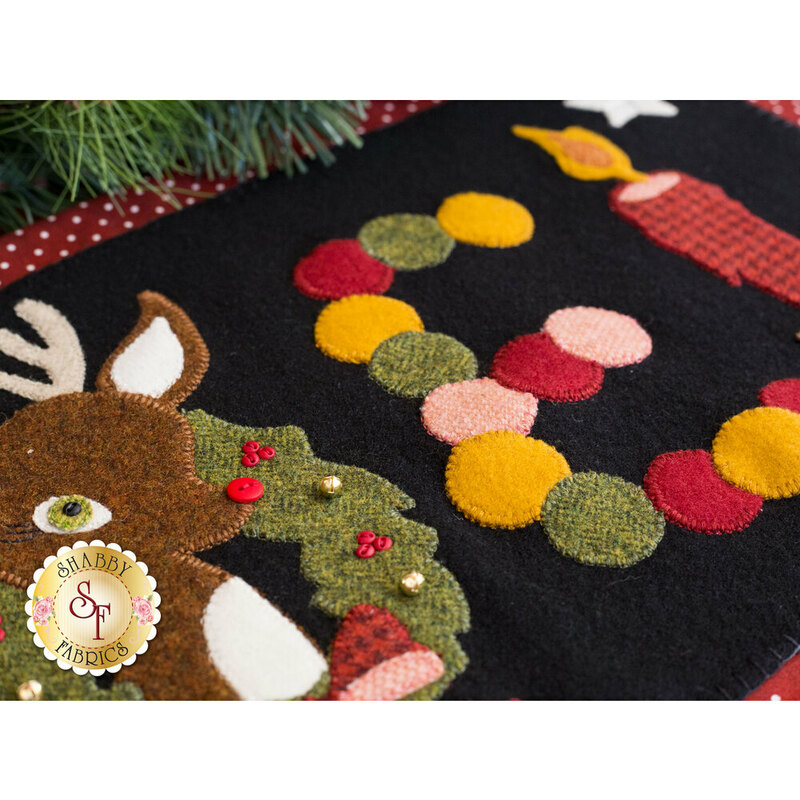 Ruddy is ready to welcome the Christmas season in this cute and festive wool runner! 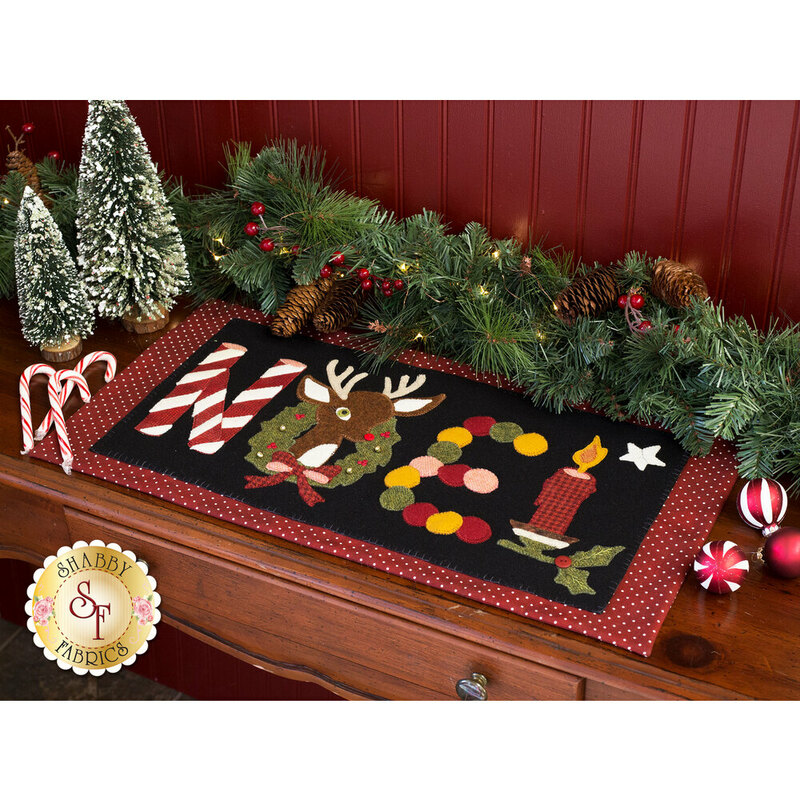 This decorative table topper features the word "Noel" written in tasty candy canes, decorated wreaths, Rudolph himself and more! 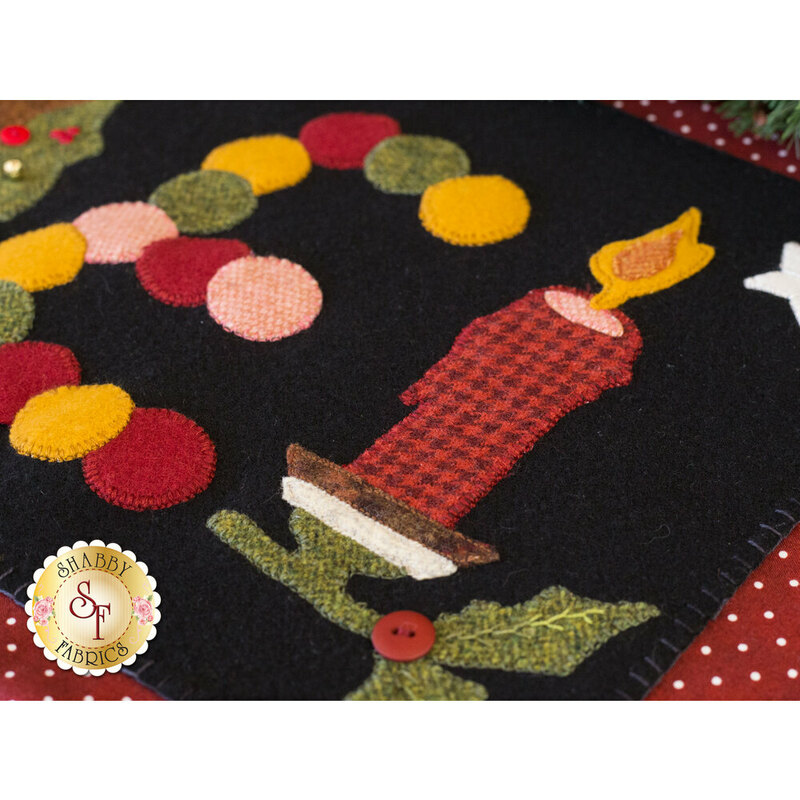 Runner finishes to approximately 13" x 23". 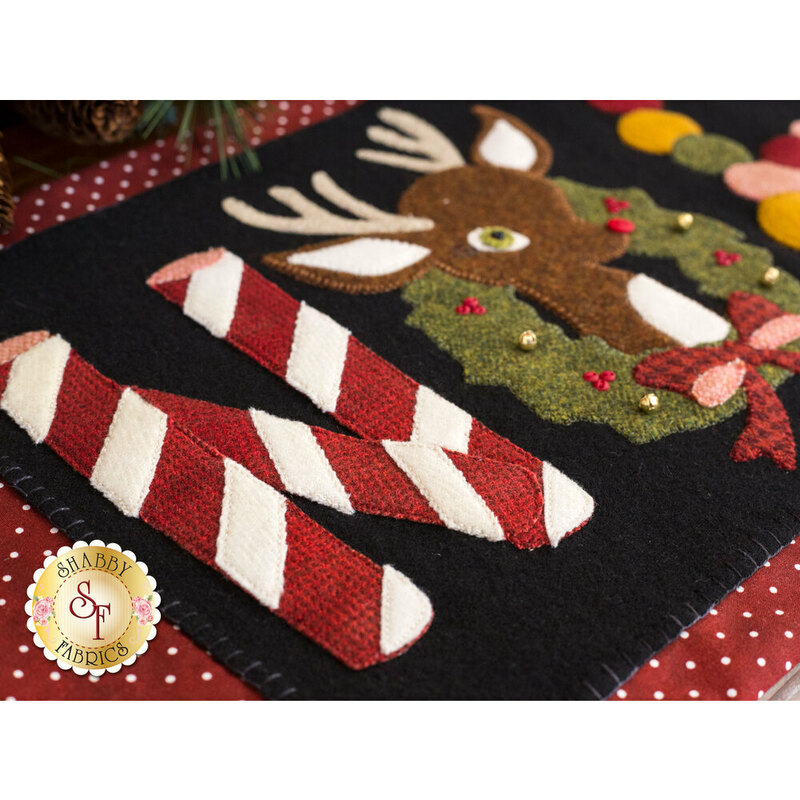 Cotton and wool to complete the project as shown, backing included!